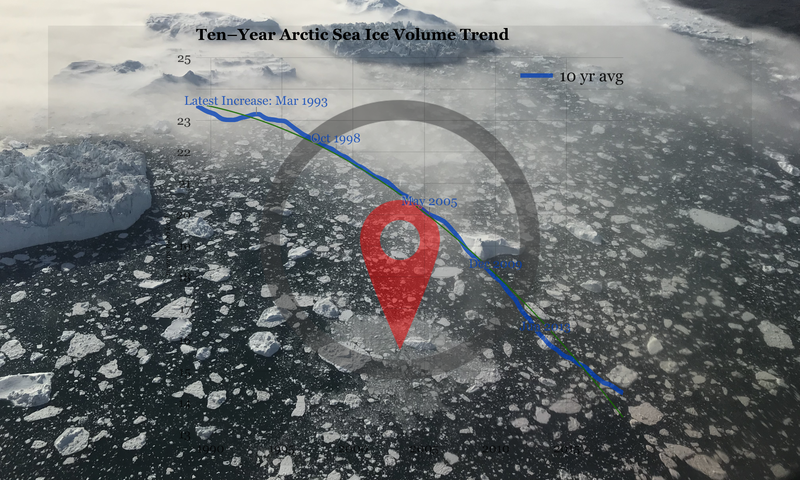 In the Arctic, the sea ice volume 4-yr average reached a new record low last week due to climate change. The new milestone was 13.8 thousand km³. Q: How can anyone make a 4–year average graph? A: Easy. Use a computer. Add all the ice for the latest 4×365 days, divide by that number of days. A: Let’s say you want to know how much ice we have in the latest 4–year period compared to the 4–year periods before that.